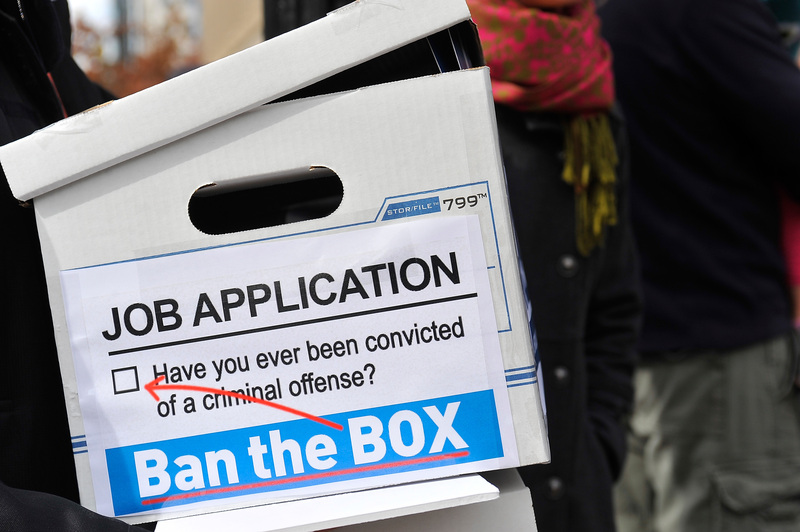 The chairman of the House Judiciary Committee won’t schedule a hearing for a “ban the box” bill that would restrict employers from asking about job applicants’ criminal histories, dealing a death blow to the proposal. Rep. John Allen, R-Phoenix, said he doesn’t believe Senate Bill 1437 is constitutional and predicted the courts would strike it down if it were to pass. He questioned what authority the state has to tell private sector employers that they can’t inquire about criminal records. “I know a lot of states do it with government entities, but I don’t know if we have the legal ability to go into a private company and tell them what they can’t look at,” Allen said. When the bill passed the Senate, that chamber’s rules attorney did not raise any objections about the constitutionality of the bill. Quezada said it was disappointing to that Allen wouldn’t hear the bill, but said he’s holding out hope that he’ll be able to convince Allen to change his mind. The Senate passed Quezada’s “ban the box” bill – as such policies are known because of the box that people must check on job applications if they’ve been convicted of a felony – in early March after four Republicans broke ranks with their GOP colleagues and joined the chamber’s 13 Democrats. SB1437 seeks to prohibit private sector employers from asking job applicants about their criminal histories until they’ve given the applicant a job interview or, if there is no interview, given a conditional offer of employment. In those cases, employers would only be able to ask about criminal records going back seven years, and only about convictions that are directly related to the job being applied for. The bill would only apply to businesses with more than 15 employees, and wouldn’t apply to jobs that require fingerprint clearance from the state, jobs at public airports, or positions in law enforcement, firefighting, prosecutorial agencies, emergency medical services transport, court security or probation offices. In 2017, Gov. Doug Ducey implemented a “ban the box” policy for government hiring. His executive order prohibited state agencies from inquiring about job applicants’ criminal histories until after the initial phase of the hiring process. Quezada said he views SB1437 as the most significant criminal justice bill that is still alive in the 2019 legislative session. Reform advocates had an ambitious agenda going into the session that included easing Arizona’s strict sentencing requirements and making it easier for people to expunge their criminal records. But those bills, along with several others, died after Allen refused to hear them in the House Judiciary Committee. Allen said he’s open to looking into the issue over the summer, once the session is over, and revisiting it next session. But he does not believe Quezada’s bill is enforceable. According to the National Employment Law Project, 11 states currently have “ban the box” laws from private sector hiring. I do not believe that our system was meant to be so easily controlled by a single person in a critical role. I doubt that I am alone in my exhaustion with hearing that one person, chairman of something or other, has singlehandedly put a stop to legislation that has massive support simply by refusing to allow a bill to be put forward or heard in committee or on the floor. This is an area that needs reform in my opinion. There is a difference between ‘representative’ and ‘roadblock’.